Student Philanthropy Month is upon us and our success tomorrow depends on your interest and involvement today. On your willingness to raise your voice and DECLARE your support for the Student Emergency Fund. Make your gift today and join the multitude of students around the world who participate in Student Phlianthropy Month by showing your Beach Pride today! Circumstances can change at any moment. Fires, temporary homelessness, unexpected injuries and loss of family are examples of hardships that can become turning points for students, forever altering the course of their lives. This is why we’re introducing the Student Emergency Fund, a way for the CSULB community to help those in its midst who are most in need. We believe all students should have the chance to see what they can achieve when nothing stands in their way. Take 23-year-old Compton resident Aaron Green, for example. Aaron finished his sociology degree last semester after entering foster care at 2 days old, coping with sickle cell anemia, losing his foster mother at age 16 and sometimes living out of his car while attending CSULB. He once considered taking a semester off but then met a former 49er whose own semester off turned into 10 years and counting. 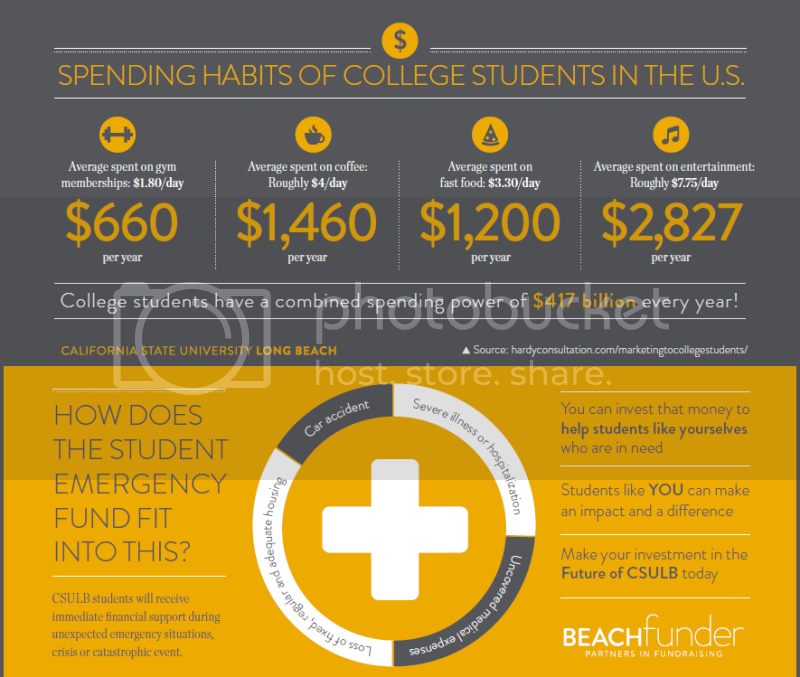 The Student Emergency Fund provides financial assistance to CSULB students who encounter temporary financial hardships from an emergency situation, crisis or catostrophic event. The purpose is for students to receive immediate financial support to help them during the unexpected circumstance so they may continue with their academics and persist at CSULB. 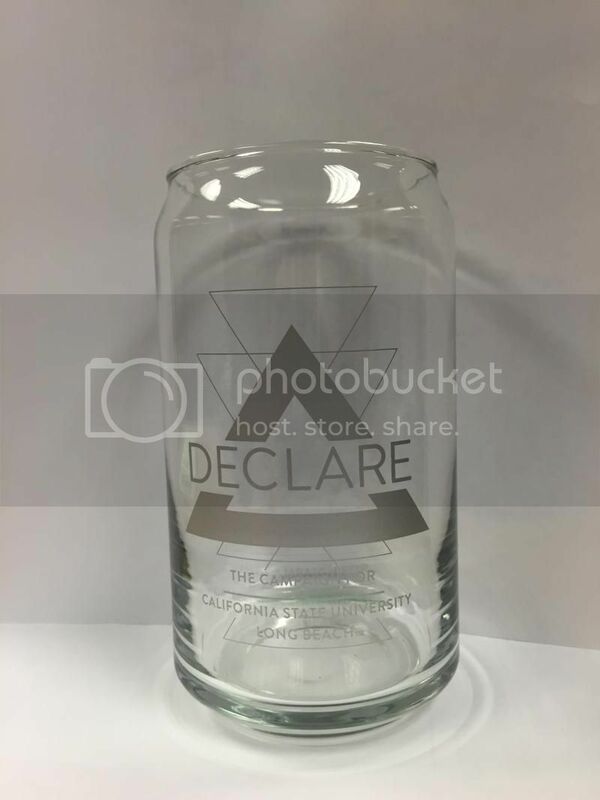 Declare mugs must be picked up in person on campus. A pick up day will be arranged and emailed to you after the close of the campaign. 100-$5 gifts can assist a student in need purchase a ticket for a flight to attend the funeral of a relative. 50-$10 gifts can help a student in need pay for housing after a fire. 20-$25 gifts can help a student in need with medical expenses after injury or illness. 10-$50 gifts can help a student in need to remain in school after a tragedy. 5-$100 gifts can help a student to purchase books and other materials that have been lost due to theft, fire or other emergency circumstances.